Senior citizen abuse (or elder abuse) refers to any harm done (whether emotional, physical or mental) to senior citizens. Our elders and seniors may be more susceptible to abuse because they may have more assets, be more physically fragile, or be more vulnerable and trusting. Anyone that abuses, neglects, abducts, steals from or harms a senior citizen is guilty of senior citizen abuse. Causing senior citizens physical harm or mental suffering is a crime, even if it is done by the elder's family members. Cases of neglect also count as senior citizen abuse. Criminals may target senior citizens thinking that they can more easily take advantage of them. They may steal from elders, physically harm them or manipulate them. Other types of senior citizen abuse unfortunately often come from family members. Because of the many issues surrounding senior citizenship, such as disability care, financial planning, wills and trusts, health insurance, retirement benefits, hospice care, etc, cases of senior citizen abuse are common. Even if the family member or members refuse care for the elderly member, they may be committing senior citizen abuse. Elder law attorneys want to help stop senior citizen abuse and are committed to helping senior citizens remain safe and protected by law. An experienced attorney can help an elder and his or her family work through cases of senior citizen abuse, to ensure that the elder is taken care of and that he or she recovers any damages or losses they have suffered. Crimes against the elderly are worthy of prosecution, and an elder law lawyer can help the elderly fight against senior citizen abuse. If you believe you or your loved one is a victim of senior citizen abuse and is suffering, Attorney Search Network can help you find an elder law lawyer who can assist you. 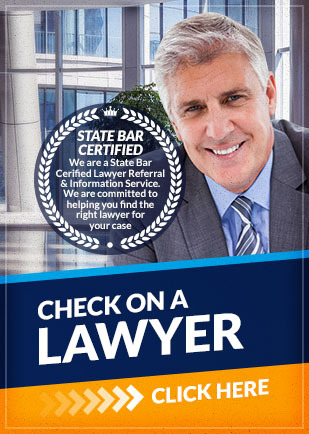 Call today to be referred to a senior citizen abuse lawyer.